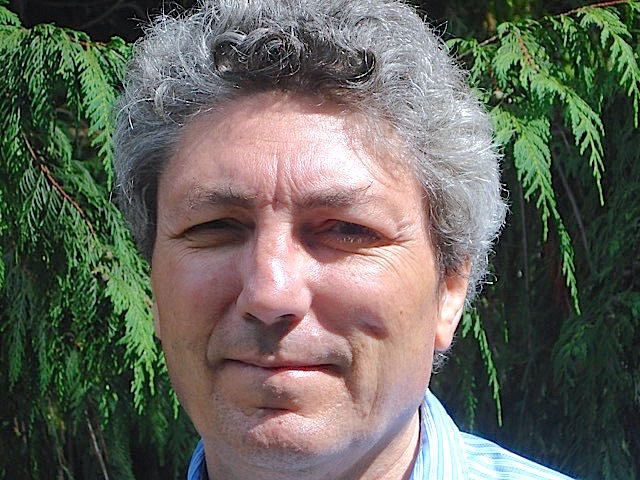 Paul is a comedy writer and producer whose credits include Spitting Image and The Vicar of Dibley. In 2011 he was diagnosed with Parkinson’s and he discovered that joking about the illness was a way of making himself feel better. Paul gives talks to Parkinson’s groups, writes for Maggies, the Cancer support charity, and speaks at carers’ conferences. In 2016 he made a documentary, Parkinson’s the Funny Side, for which he won The Grierson Award for Best Television Documentary Presenter of the Year. Paul Mayhew-Archer discusses his Parkinson’s with the humour you might expect from somebody who has spent decades writing some of the UK’s most iconic comedy shows, including The Vicar of Dibley and My Hero. Despite the difficulties of living with the degenerative condition, he says having Parkinson’s has brought some unexpected positives. “At times I feel like it has given me a purpose. 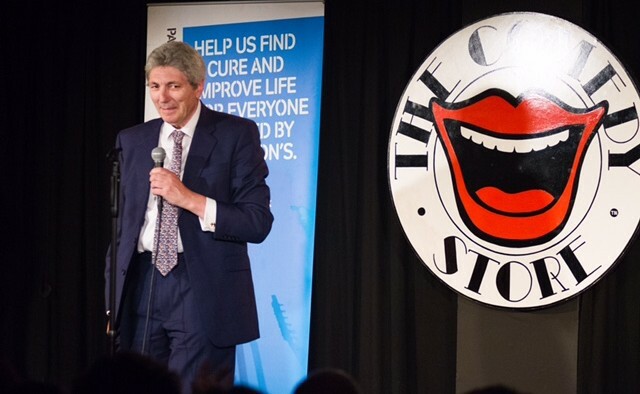 For the last 40 years I’ve written jokes to simply make people laugh. Now, by making jokes about Parkinson’s, I can help people deal with the condition. Paul is adamant that laughter is, for him, the first step towards meaningful conversation on the topic. 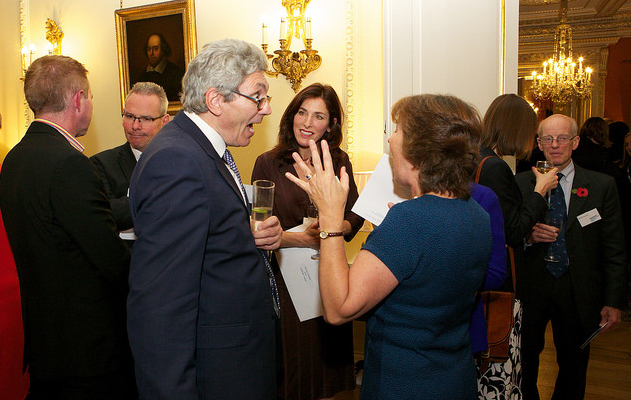 He says: “Laughing at my Parkinson’s has enabled me to start talking about it properly. It’s allowed me to have the kind of conversations that I wish I’d been able to have with my mother, who had cancer throughout my teenage years and died when I was 20. 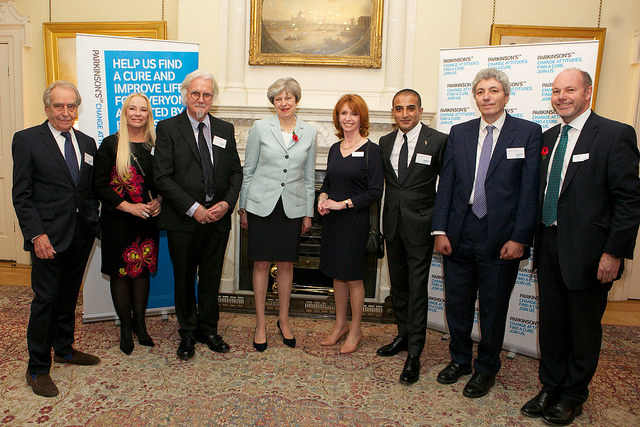 Paul recently attended a reception at 10 Downing Street to mark the 200-year anniversary Parkinson’s. It was a significant day for Paul, one which left him feeling excited and inspired. With a new romantic comedy in the pipeline, coupled with ambitions for a stand-up show in Edinburgh, it’s clear Paul won’t allow anything – not even Parkinson’s – to stop him laughing.